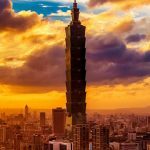 Taiwan has done the great thing and combined two of the internet’s favourite and social media friendly things – puppies and ice cream: ice cream puppies! So, of course it was going to kick off. What exactly is this life-like ice-cream puppy? Well, actually it’s just that. 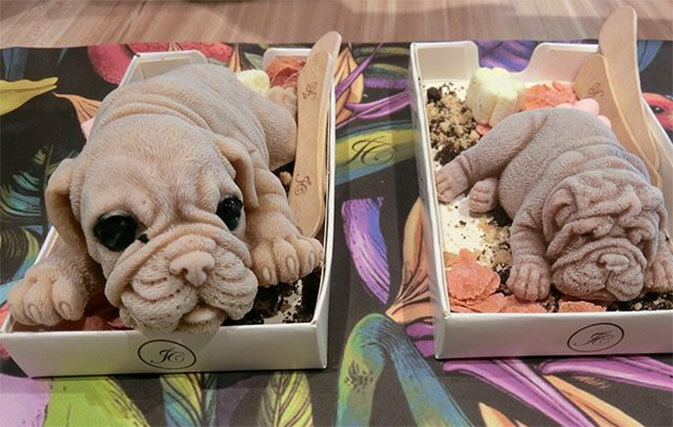 Ice cream sculpted artistically to create extremely life-like puppies. 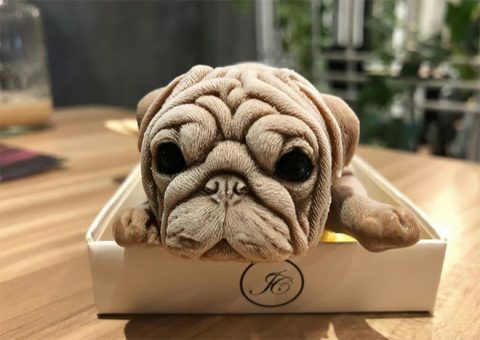 Where can you buy Taiwan’s puppy ice-cream? The original place producing this tasty treat is J.C Co Art Kitchen. This menu item, The Shar-Pei, is almost (or maybe actually) too real to eat. Taking about 5 hours to make just one ice cream puppy, they don’t come cheap either at about $3.50 each. The ice cream is put into a special mould and left to harden. They use a special freezer to leave the pups to harden at -22°F, and also creates the ice crystals which form the furry fluff of the ice cream puppies’ body. They’re moulded out of an ice cream flavour of your choice; chocolate, milk tea, or peanut. After moulding, they will then undergo rigorous artistic examination as one of the artists gets to work sculpting the life-like shape of the ice cream puppies body, as well as the intricate details of the fur, eyes, and nose. This is done using chocolate sauce. 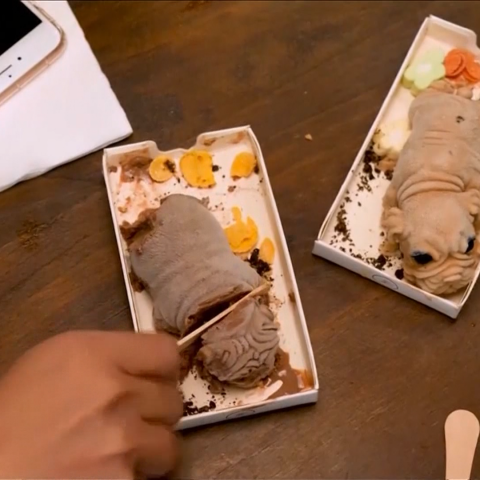 And if you’re a sucker for the popular Chinese app Taobao, you can even buy your own ice cream puppy mould to have a go at forming and devouring your own produce and scaring your friends with a batch of ice cream puppies! 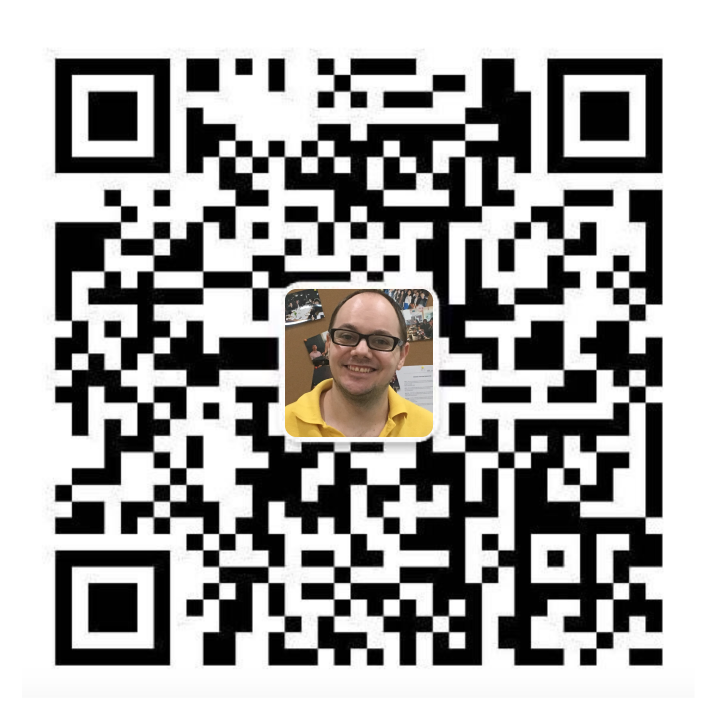 Simply search “沙皮狗慕斯模具” (Shā pí gǒu mù sī mújù translating to “Shar Pei Mousse Mould”) in the app and you’re good to go! Can puppies and dogs enjoy this puppy-friendly snack themselves? Firstly, dogs bodies aren’t designed to digest milk after they get older, so the cream in the ice cream can mean some very upset tummies! Secondly, ice cream (unfortunately) is packed with sugar, which definitely is not healthy for your pup and lead to obesity. Finally, some flavours of ice cream, such as chocolate, can be toxic for dogs. So please be careful before you terrify both yourself and your dog with these Taiwanese speciality ice cream puppies! Tried Taiwan’s ice cream puppy?